Konstantinos Dilzas is a Naval Architect and Marine Engineer who has a passion for music and a deep knowledge of Greek discography from the 70s to now. 3 years ago he released his debut single entitled “Skotadi (Darkness)” – music and lyrics by the multi-talented artist – musician, actor and composer Dimitris Kiklis, which reached almost 10.000 views at Youtube and became a hit in Japan. 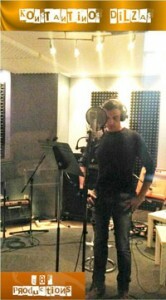 His second officially released single was the Spanish version of “Skotadi” entitled “Noche” based on lyrics written by the Greek poetess Xenia Kakaki. 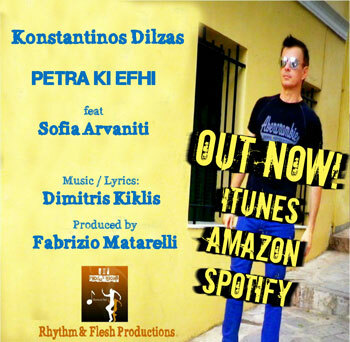 Konstantinos has just released his third digital single, entitled “PETRA KI EFHI” – “Stone and wish” (Music & lyrics by Dimitris Kiklis), under a new label “R & F (Rhythm & Flesh) Productions”. This is a special production featuring the virtuoso accordionist Jim Papadamis and the famous Greek Pop / Rock Star Sofia Arvaniti. 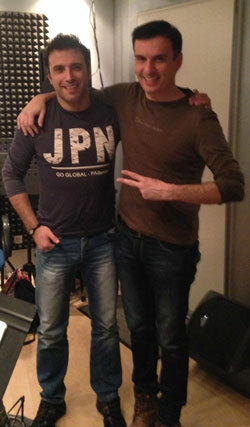 Konstantinos Dilzas embodies in his music all aspects of the Mediterranean sea; warmth, love, tenderness, and passion. The song tells a story about two people who meet after having suffered disappointment in their lives, and decide to throw a stone to their past, making a wish to live together for the rest of their lives. Imagine a voice akin to Gordon Lightfoot’s, singing a song reminiscent of the most personal and poignant of Peter Paul and Mary’s repertoire, and you have an idea of this wonderful Greek singer. Depending on your age, this is the kind of song that sounds familiar to you the first time you hear it – even though you don’t speak Greek. This is romantic music at it’s best, the kind you want to play after-hours with your arm around your lady and a single malt in your hand. A delight to listen to, “PETRA KI EFHI” takes you back to times when music was truly music, when words and melodies would move the listener and place him in some kind of trance, evoking thoughts and feelings of romance. All the stuff love stories were made of. I have no idea what he is singing in each and every verse because it’s all in Greek, but it doesn’t even matter, as the accordion romantically shapes the atmosphere. As music is a communication, Konstantinos sings romantic, passionate and melancholy passages of easy listening for all ages. His voice has a certain honesty and his musical sound makes for a medium-paced dance in candle light or in whatever dim light you can muster. “PETRA KI EFHI” expresses feelings we probably have all had. 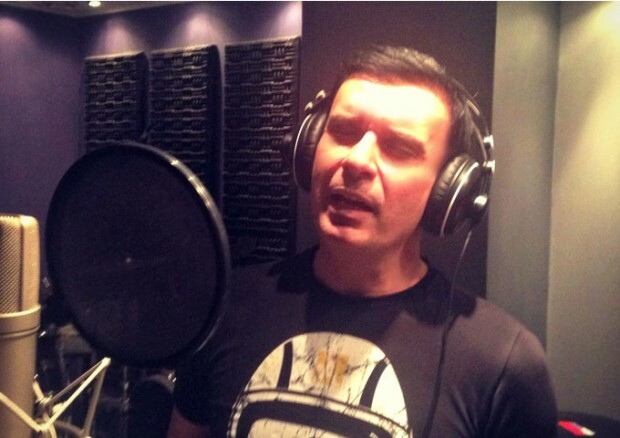 Konstantinos has also produced some electronic – house tracks based on his collection of poems, entitled “INE KI EKINA TA PROINA” which is going to be released in 2016.